We are always interested in buying toy soldiers. Sell us your individual soldiers or complete collections. Contact us or email photos of your soldiers for sale. We are committed to reaching mutually beneficial deals! 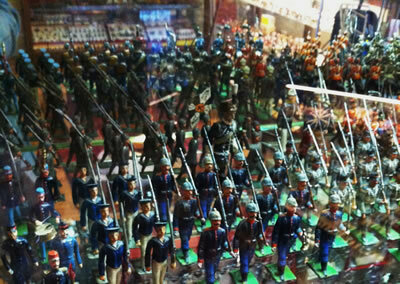 Copyright The Toy Soldier Shop 2012. All Rights Reserved.